Mid bloomer. 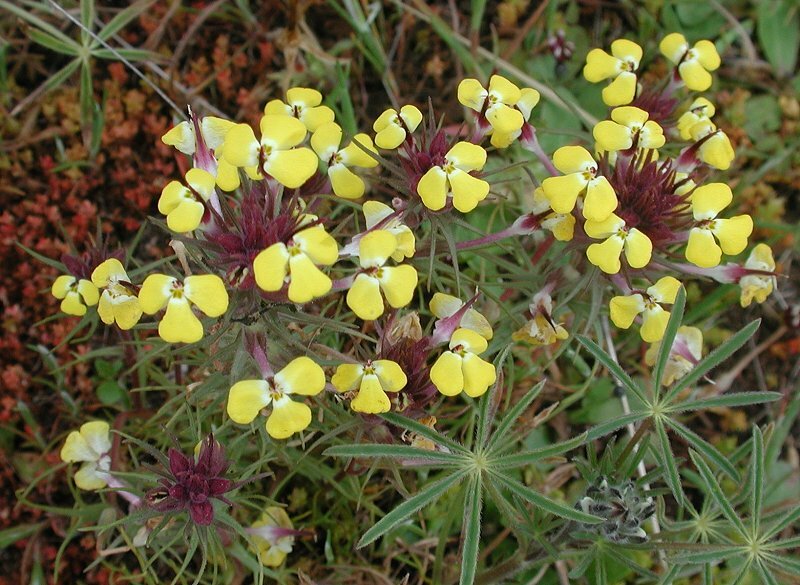 Three yellow sacs with red-purple “beak,” massed in grasslands. Also called Butter and Eggs. Notes: Figwort family. Rarely found at Bridgeport. Used to be found in the area of the Foothill Lomatium.